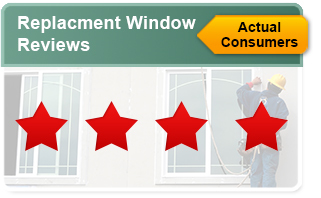 A homeowner is looking to replace windows but maintain the transoms that are connected to the top of each window. The aesthetics of the transom are something they really like. Is this something that is feasible while still remaining affordable? The pros have some thoughts about what's involved Check it out here! This professional is building a new construction home and is looking for advice on which new construction windows will bring the most value into the home. After looking at Okna, Sunrise Restorations, Timberland, and Homeguard - it seems they all boast most of the same specifications and features. Do our pros prefer one of these brands? Is there a better options for the same price range? Read what the pros have to say! Well this is an interesting case! A homeowner's dog shattered a basement window, and now the homeowner needs to replace the glass that was once there. Is it possible to just replace the glass, or will a full replacement need to be done? Our prose advise! Ever wonder why your windows are filled with Argon and Kryton? What exactly is an IGU infill, and why does it benefit you? Our resident expert, Oberon, chats about IGU infill and its impact on energy efficiency.